Looking for a Condominium or Apartment to Rent in San Carlos or Guaymas, Sonora, Mexico? 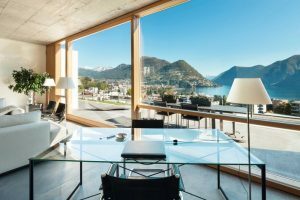 Renting a private home or condominium with more bedrooms and a kitchen may be just what you need for traveling with your family or a large group. These options are also perfect for long term stays. A unique vacation getaway in a privately owned condo on San Fransisco beach, San Carlos. Beach condo rental rates starting at $50 a night. Ask for one month rent-free! Looking for a studio apartment, 3 bedroom house, or anything in between? We’ve got the property for you! If you don’t see what you’re looking for, let us know. Our goal is to match you with your perfect home. Once you fill out the application form, we will arrange viewings. 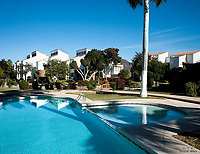 Our Featured Homes and Condos are fully equipped with everything you need for a great vacation! AC, TV, Internet, Laundry, Patio, Pets Welcome. 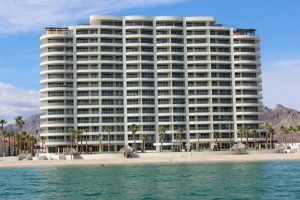 Exclusive Riviera Rentals is pleased to offer you a large selection of quality vacation rental properties located throughout Mexico’s Sea of Cortez. For your next vacation or holiday, count on us to provide the perfect vacation rental to meet your needs. Contact us for condos in San Carlos, including Playa Blanca, Bahia Delfin, Pilar, MarinaTerra and Marina Real. Condominios Pilar is on San Francisco Beach in a beautifully manicured landscape with garden side adult and children’s pool, fishing and clam digging in the adjoining estuary, a fabulous Mar de Cortez restaurant with bar, tennis court, and barbecue area for group gatherings near the pool area. 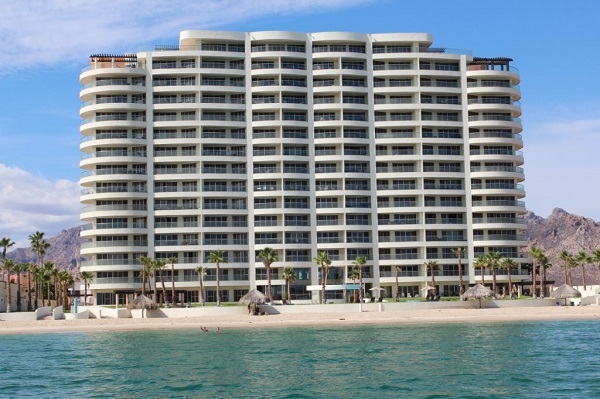 Bahia Delfin condominiums are on the Sea of Cortez on one of the best sandy beaches — San Francisco Beach which is surrounded by sand dunes and near the El Soldado Estuary. Pool, ocean-views and waterfront. MarinaTerra hotel and condos are in a great location overlooking two swimming pools with spectacular views of the marina and Tetakawi. 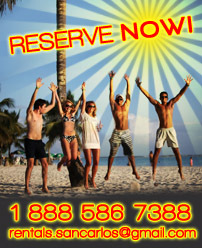 The condos are within walking distance of beaches, several restaurants, bars, boating and shopping. Marina Real overlooks Marina San Carlos in the foreground and the Sea of Cortez in the background. There are great common areas such as swimming pool, pickleball court, fire pit, and palapa with grill. Triana is in a private beach-front setting with heated pool and beautiful ocean views.